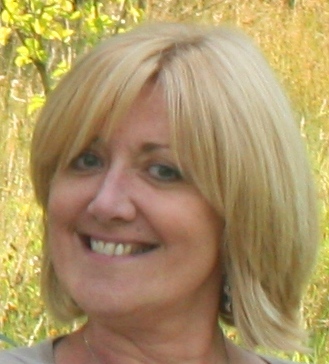 Hi, my name is Suzie Grogan and I am a freelance professional researcher and writer on topics as diverse as social exclusion, social and family history (with particular reference to the history of mental health treatment and 19th & 20thC London) and women’s health issues. With many years experience of research to support public and voluntary sector policy and strategy development, I am now putting my skills to use researching issues of importance to me. I am a keen social historian and have had many articles published in national magazines. In 2014, my book Shell Shocked Britain – the First World War’s legacy for Britain’s mental health was published by Pen and Sword Books to 5* reviews, and my next book, Death Disease & Dissection – the life of a surgeon-apothecary 1750-1850 will be published by Pen and Sword in October 2017. I have edited and compiled the book Dandelions and Bad Hair Days – an anthology of prose and poetry written by those who have experienced mental health issues – which was published on 10th October 2012. All profits go to SANE and nominated mental health charities. I write ghost stories and other fiction and have a number of projects in development – if only there were more hours in the day! I am also a wife and mother of two twenty-somethings who have just about realised how interesting their mother can be if given the chance. In 2006 I was diagnosed with and successfully treated (including reconstruction) for breast cancer, and I have had Primary Lymphoedema since my teens, but although I would love to hear from people who share my experiences, this blog is a place to be creative about life, writing and living life and writing. My website can be found at http://www.suziegrogan.co.uk. What a great About page and an interesting blog! I am so glad I found you via Madame Guillotine’s blog I can relate to a lot of it, although my children are a bit younger (but already quite sceptical about their mother’s merits). I am only just starting to come to term with the fact that I will never be a fully functioning, happy human being unless I include writing in my life, instead of always leaving it last (after my family and business obligations). Good luck with your writing projects and look forward to visiting your site again! Thank you so much for your lovely comment! Hopefully there will always be something on here to interest you. If not you must tell me!! Suzie, I always look forward to reading your posts, and as a small token of my admiration and appreciation, I have nominated you for One Lovely Blog Award. Hope you don’t mind, and don’t feel you have to respond instantly (it took me one month nearly to accept mine). Suzie, I’m so glad I found your blog and I’m looking forward to reading it. Such a lovely About-page! I’m researching my own family history and wrote a post about my 4-times-great-grandfather’s stay in a psychiatric hospital in the late 19th century. If you’re interested to take a look: http://nothingofthekind.wordpress.com/2014/04/01/my-dear-hugo/. I’m still not quite sure about the exact disease that ailed him and I keep going through his medical file. I’m so excited you’re actually writing about the topic I’m researching myself. Thanks kindly for sharing. Hi Anna. Thank you so much for your comments. I am so glad you like Sarah’s story and having read your blog I can see that we have research interests in common. These stories are really significant aren’t they? I think learning about how our families lived all those years ago can still help us understand who we are in the 21st Century. Look forward to keeping in touch. Hello Suzie from across the big pond. I am a Toronto Canada based social medical cultural historian focusing on the First World War (okay Great War to many UKs’! :) especially the Canadian home front. If you consult my FB page you will see an incredibly rare photo used as my main photo showing a 1916 established “shellshock hospital” in Ontario [ photo is undated an may date from 1917 or even 1918 but more likelier 1916 as the Chief Psychiatrist for the CEF is shown in the photo ]. I have over the years done a great deal of research on shellshock in WW1 including most of the other countries. Currently I am completing a research tool, namely a db for Canadian WW2 war charities [ to compare and contrast with Canadian WW1 war charities ]. Unbelievably I have never been to Europe (check out Academia.edu) though British, Russian and overall European history was traditionally my favoured research ground. I hope we can help one another. I have not seen your book on shellshock for Britain that has appeared (?). I will email you directly shortly as well and I have befriended you on FB. Best wishes and keep on writing (er…hitting the keyboard, …er touchpads, … you know!:))). Fantastic blog … and definitely interested in your forthcoming book.